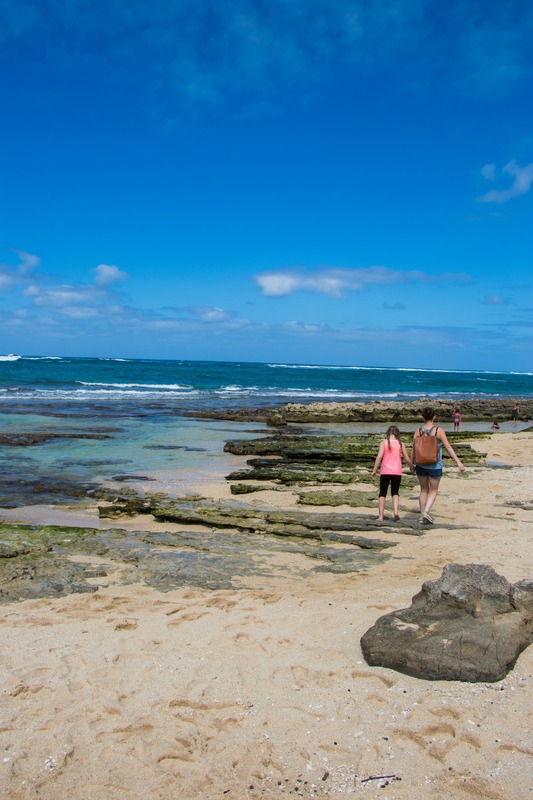 Oahu Family Vacation Day 3 Hawaiian Island Hopping – It's a Lovely Life! 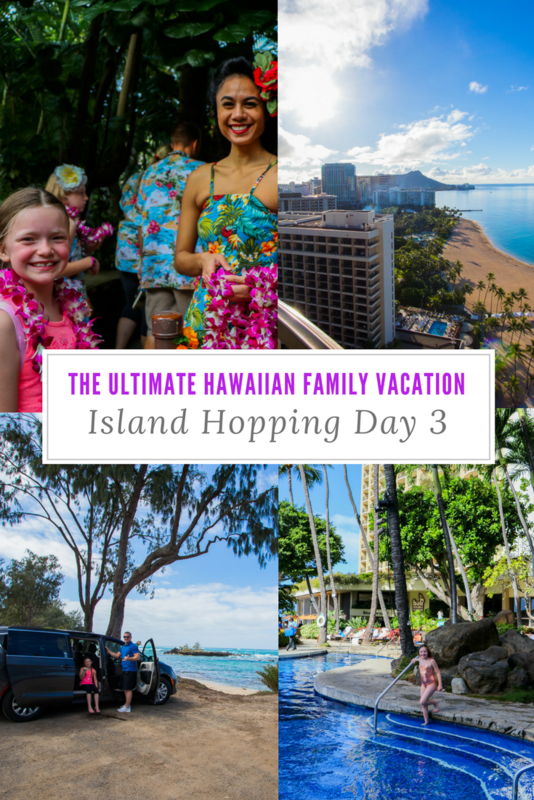 Day three of our island hopping adventure in Hawaii was exciting and all around wonderful! 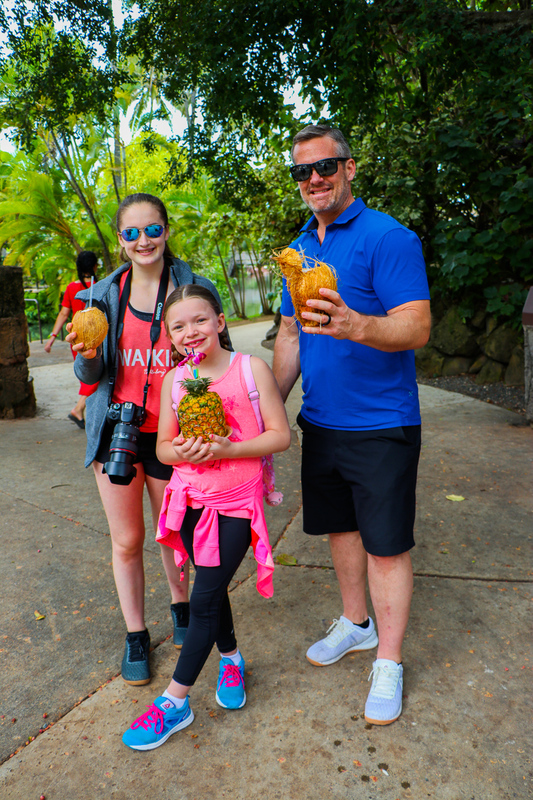 We hope you enjoy these reviews and of course, special thanks to Hilton Hawaiian Village, Advantage Rent-A-Car, and the Polynesian Cultural Center for hosting us. When I woke up to this view I felt the vacation going by way too quickly. 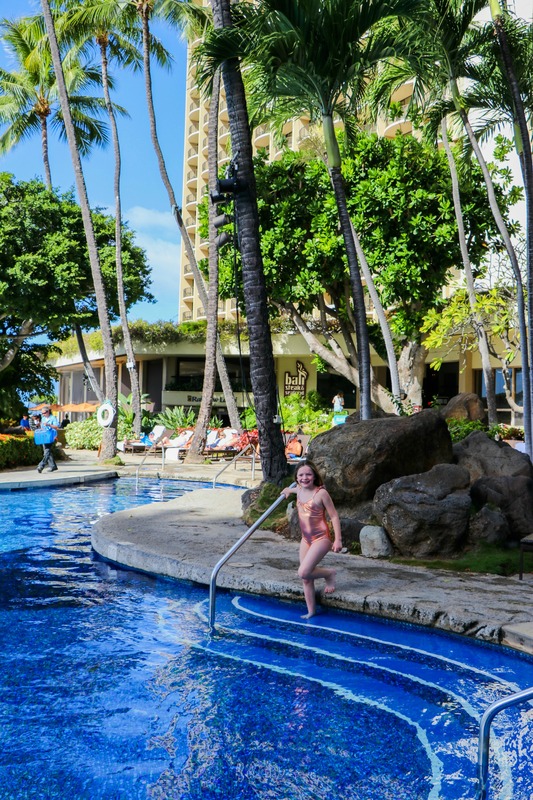 We landed at night on Thursday, spent the whole day Friday enjoying the Hilton Hawaiian Village and today we went swimming at the resort before heading to the North Shore beaches and the Polynesian Cultural Center. The pool was wonderful and going first thing in the morning was perfect because we had the whole pool to ourselves. 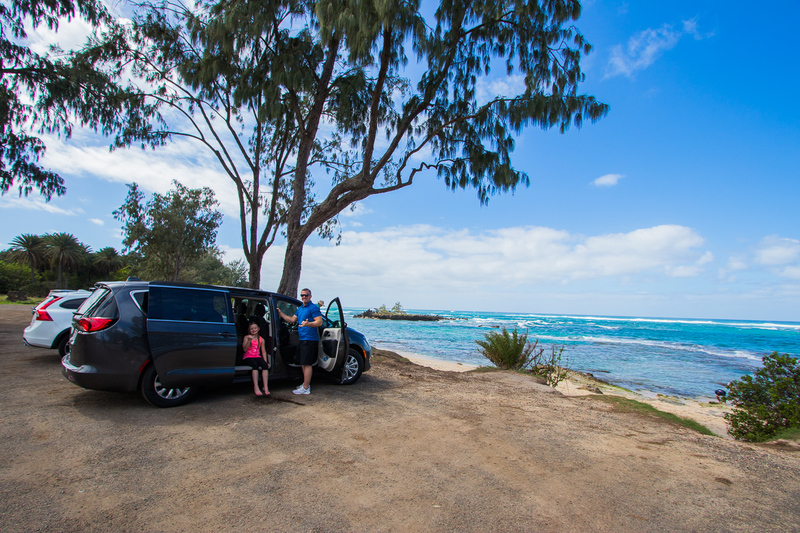 After the fun in the pool, we all hopped in our Advantage Rent-A-Car and headed for the North side of the island. 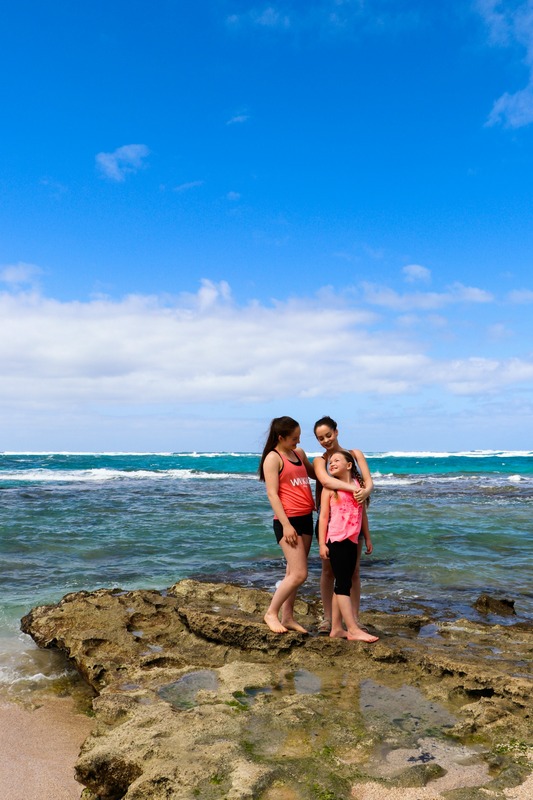 We found a beautiful beach past the famous Waimea Bay and Pete took some amazing footage with the drone while the girls and I enjoyed the area. We planned to stop for 10 minutes tops, and over an hour later we got back on the road. 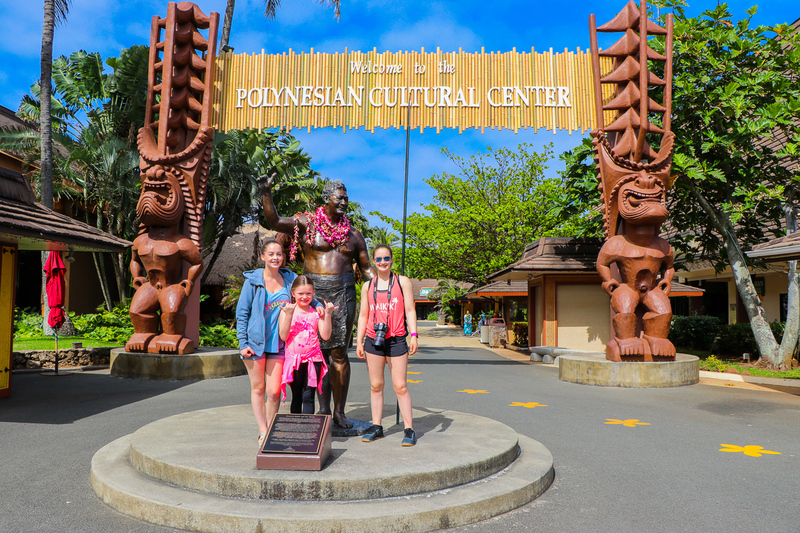 The only reason we left that soon was that we were going to one of our favorite places on Oahu, the Polynesian Cultural Center. This vacation we didn't plan to do anything we had done before. We wanted all new and exceptional experiences. The one thing we all agreed we had to do again was to visit here. 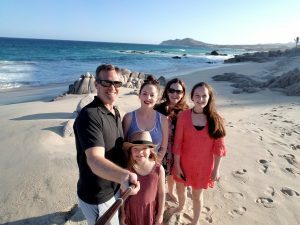 We learned the first time we came here that you need to plan a good amount of time to really see everything there is to do. We thought that a good five hours would work and again we were wrong. I think that getting here at mid-morning and staying until closing is the best plan. Before you even get inside, there is a marketplace outside that has shopping and delicious food. We all have our favorites. 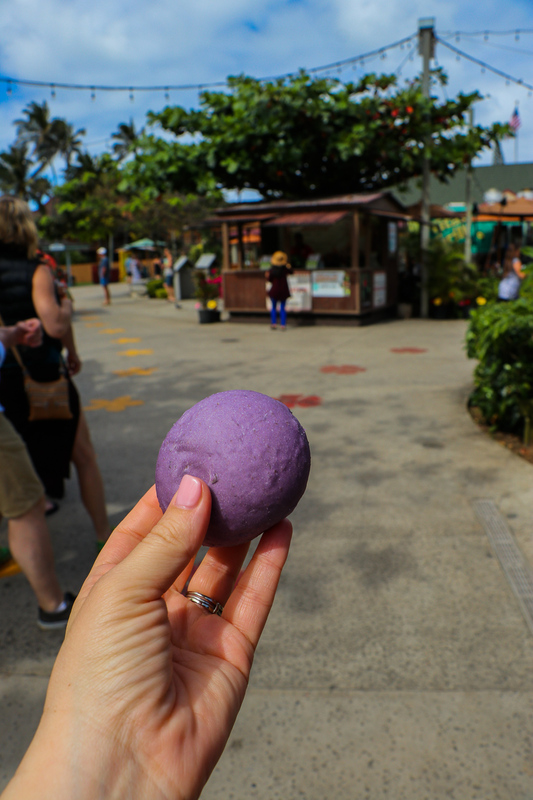 Emmy gets Dole Whip, Maddie gets a custom flavored soda (we rarely have soda so this is a total treat for her), Ashley and Pete had Acai bowls, and I had a purple taro roll. The ones they make here are my absolute favorite on the island! 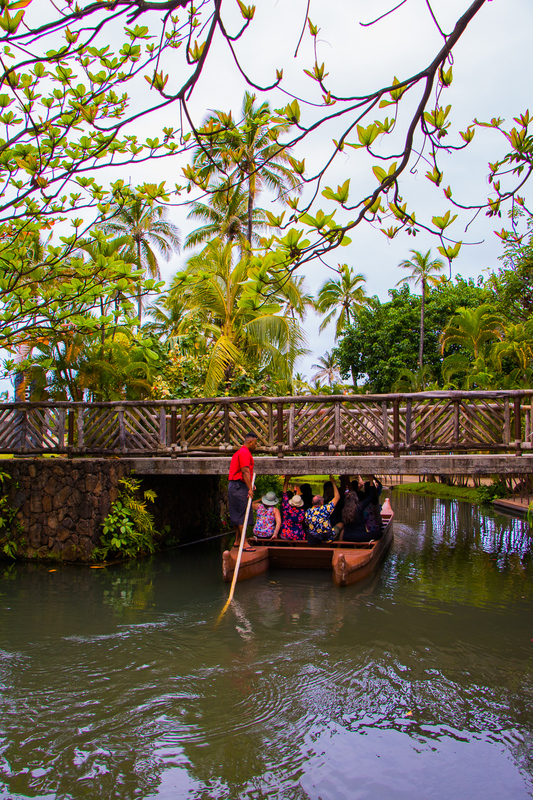 The Polynesian Cultural Center is the best way to experience, learn, enjoy and explore the Polynesian Islands all in one place so I highly recommend doing a little planning and deciding what areas you are going to see first. 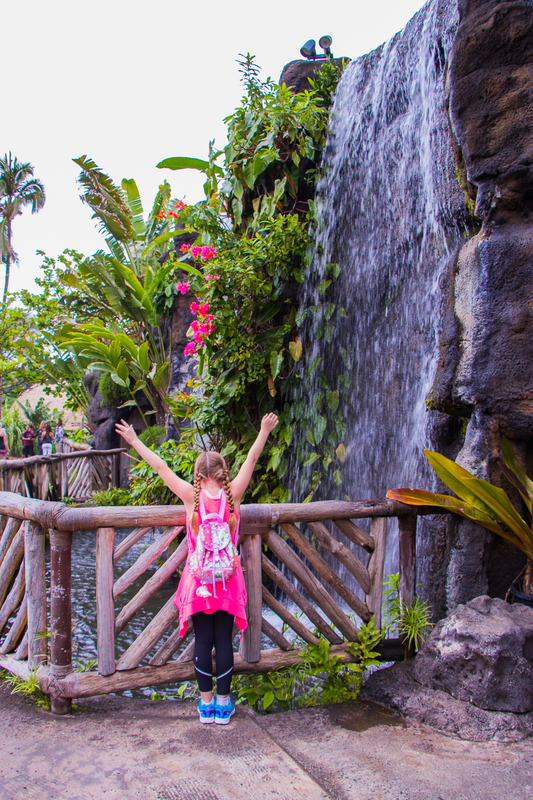 There are 42 acres of lush tropical gardens with so many traditional hands-on activities and live performances. 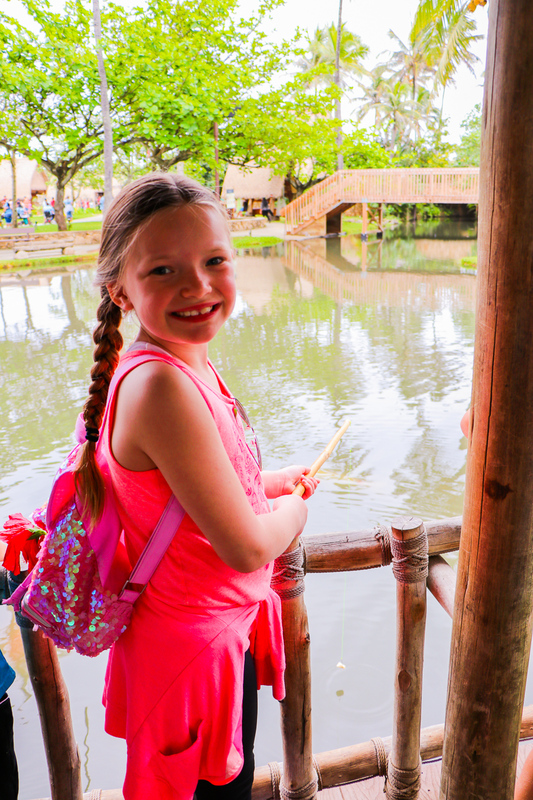 We started at the beginning and worked our way through all the villages starting with Tonga, Tahiti, Marquesas, Hawaii, Fiji, Aotearoa, and Samoa. 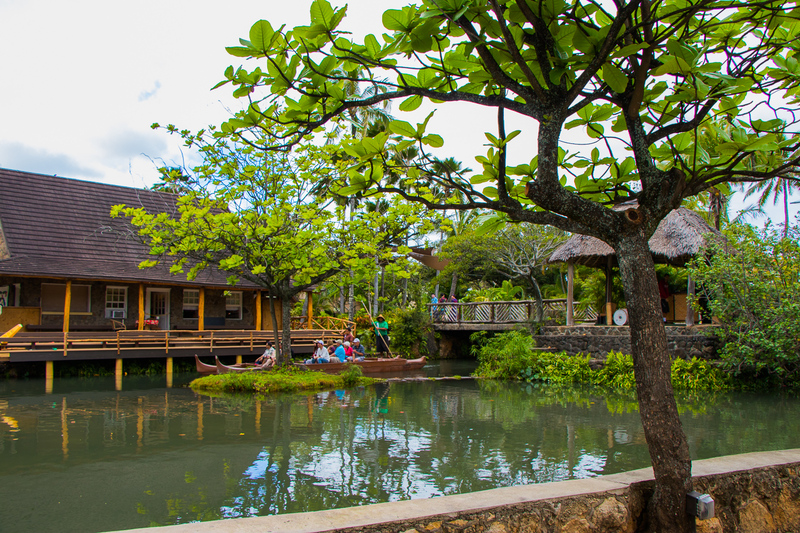 Each village has a performance area, a traditional hut or building, and a game. We also had some tropical drinks as we wandered through the different villages and experienced all the activities. Emmy loved fishing and Ash got some fitness in! We took this same picture of Emmy two years before! 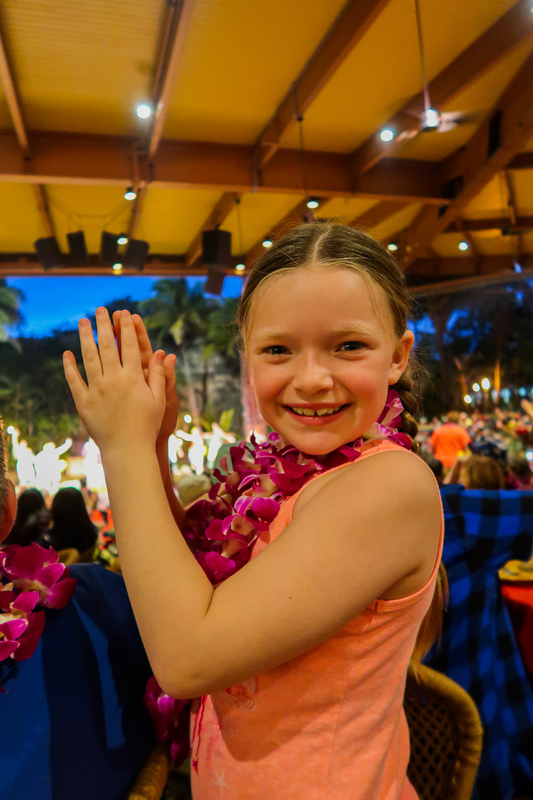 Soon it was luau time! 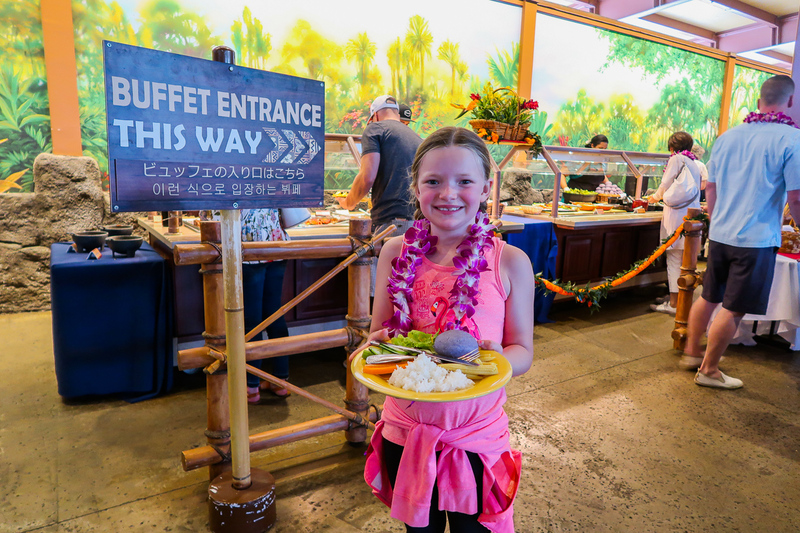 This is one of our favorite luaus and the food is so good. They have a special vegan/vegetarian chili that you can request too that is a must! It is the best chili we've ever had! Then you are brought to your seat and invited up to the buffet. 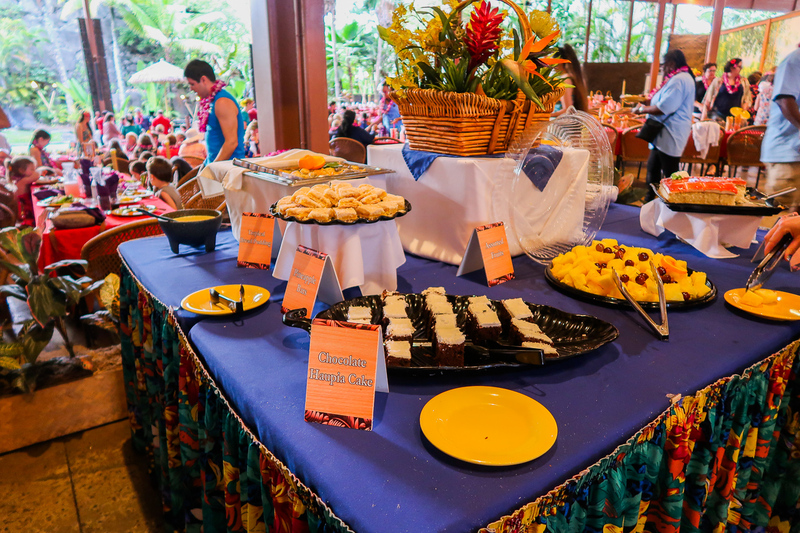 There is so much food… including the traditional luau foods. We met friends there so we had a table and a half all right by the buffet. As dinner winds down, the real show starts. The Kalua Pork, stone-fired and slow roasted. The delicate flavors of the Poi. Sweet pineapple accenting the meal both with its refreshing flavor and colorful displays. 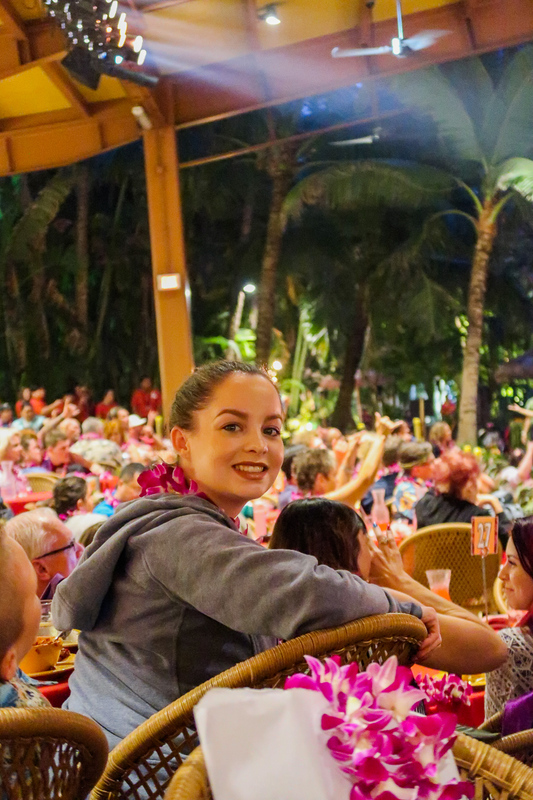 These are things you would think make the best luau in Oahu. You’d only be partially correct. 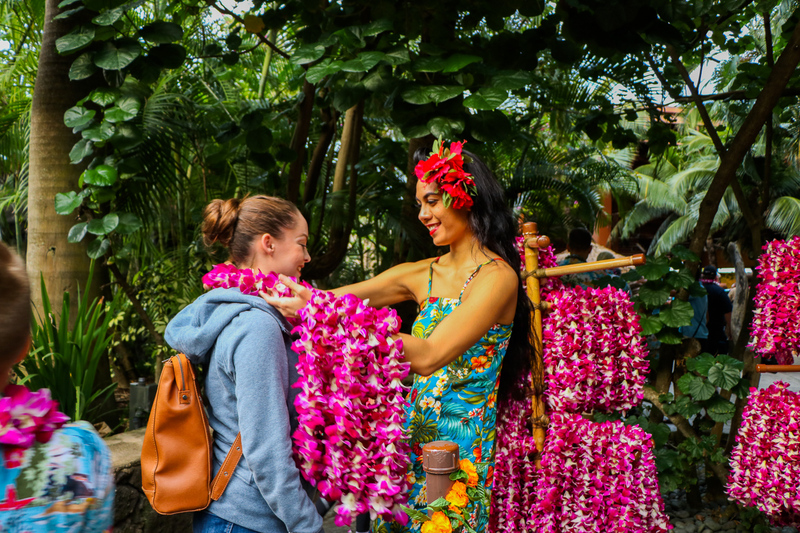 While the Polynesian Cultural Center takes great pride in making our Luau the most delicious, we also embrace the Hawaiian culture to make it the most authentic. 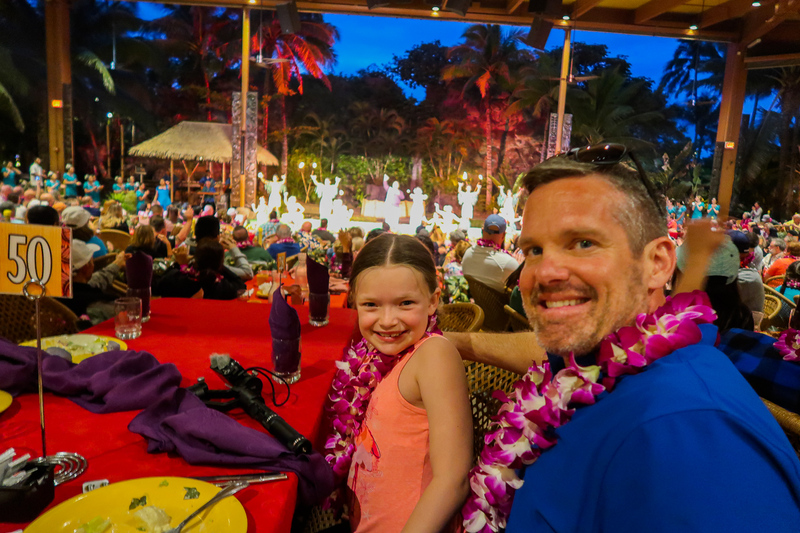 There was a time in ancient Hawaiian history when men and women weren’t allowed to eat together. They were separated at meal times, and even ate different foods. In fact, many of the people were forbidden to have certain delicacies that we enjoy today. In 1819, that all changed. King Kamehameha II put an end to those practices and had a feast for everyone to enjoy the Pacific’s greatest flavors. 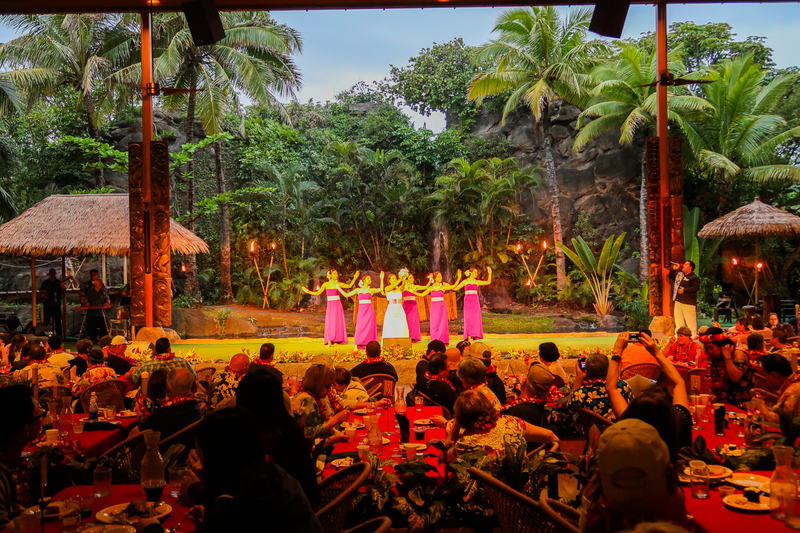 Men, women, children, and royalty all dined and celebrated as one — and the Luau was born. 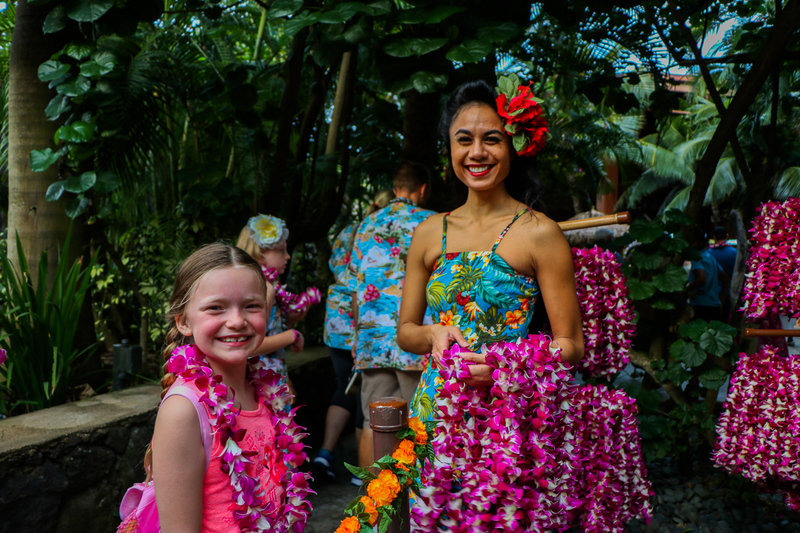 As the Luau began to grow in both recognition and in size, visitors from all around the world began to flock to be a part of this cultural celebration. The more people came, the more the feast became something even more elaborate, a full-on party with traditional dancing and entertainment. 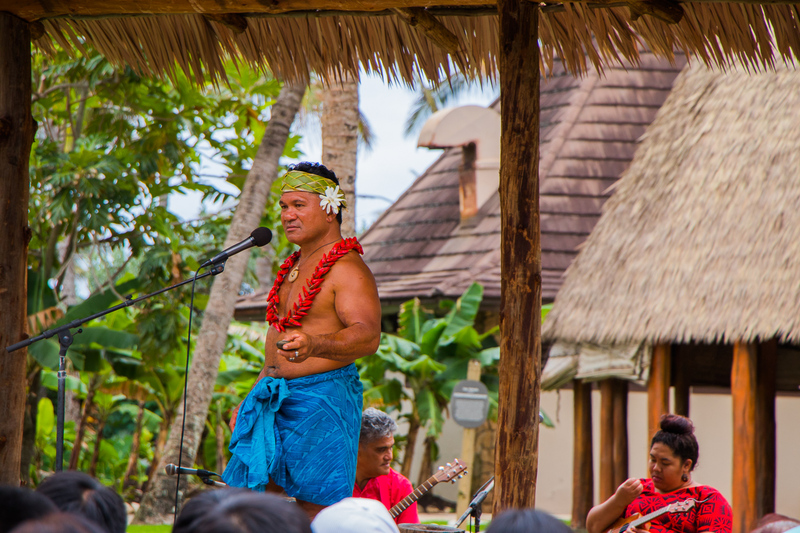 That’s why today’s Luau in Oahu is so much more than just the fantastic food, it’s the Hawaiian culture brought to life in every way. That’s why we focus on the details others miss, or may not even think matter. Everything from the type of dancing to the patterns of decorations has significant meaning rooted in history. In order to bring that to life, you must know it, embrace it, and perfect it. 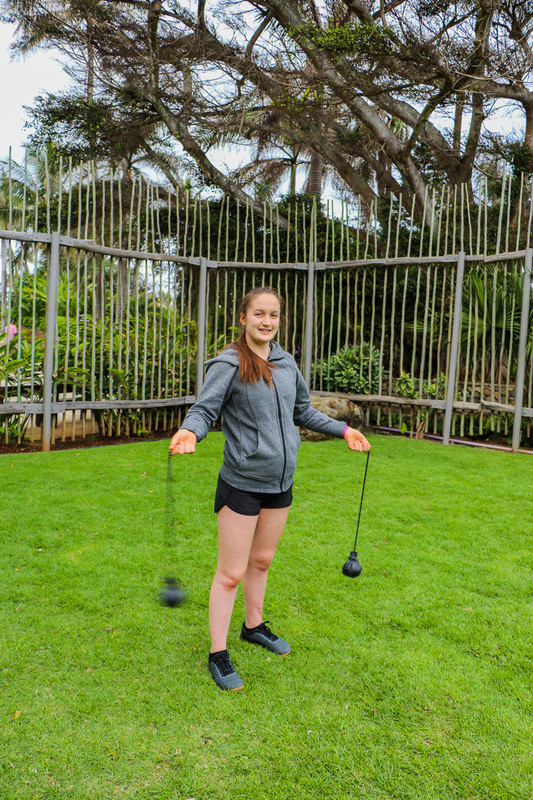 Which is exactly what we do in our Ali’i Luau. You can see for yourself here. 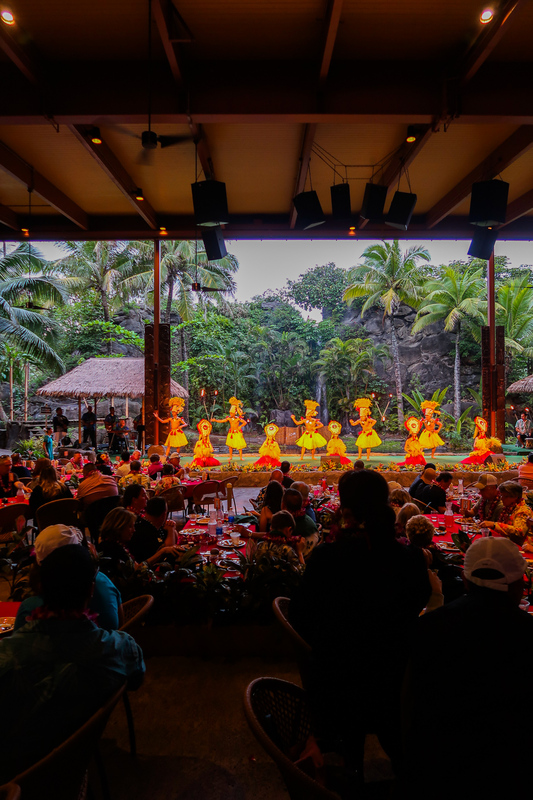 While you can clearly see why we bring the authentic traditions of ancient Hawaii to life better than any other Oahu Luau, our feasts are just as unrivaled. 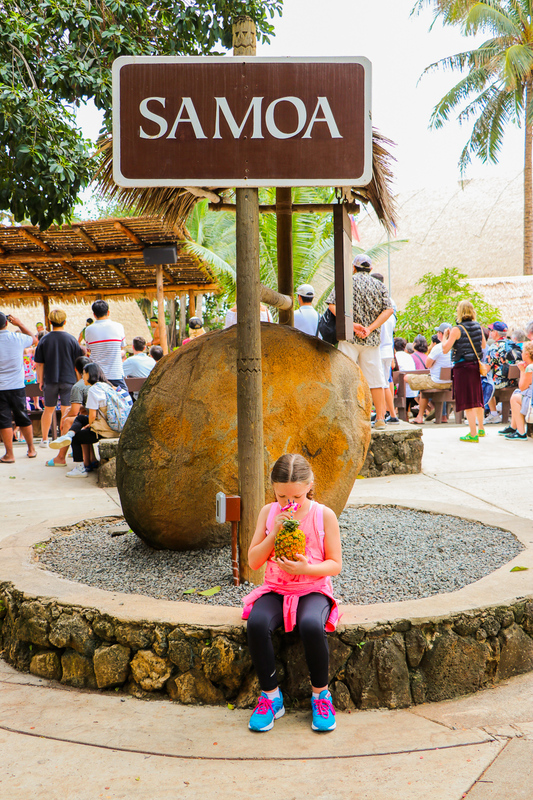 We slow cook our foods using ancient methods and recipes, ensuring the flavors you taste today are the same as King Kamehameha II did during the very first Luau. We have menus that accommodate every palate and every diet. 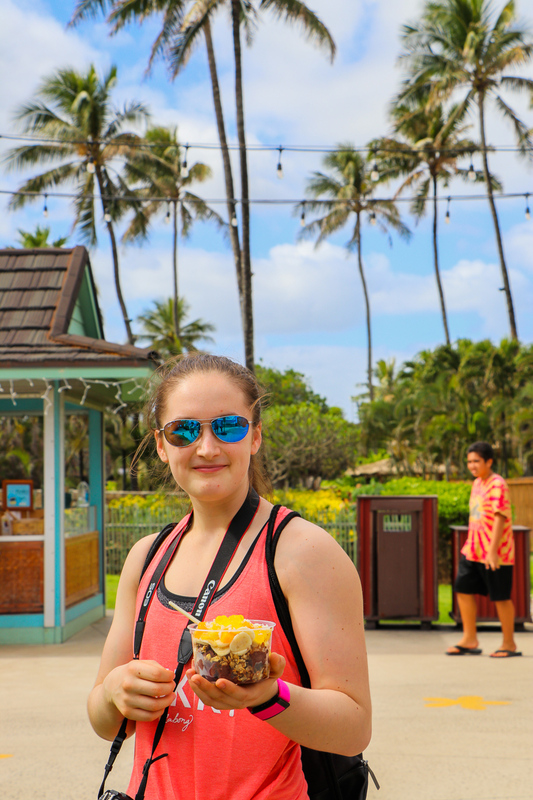 In Hawaii, food is the foundation of every festivity. 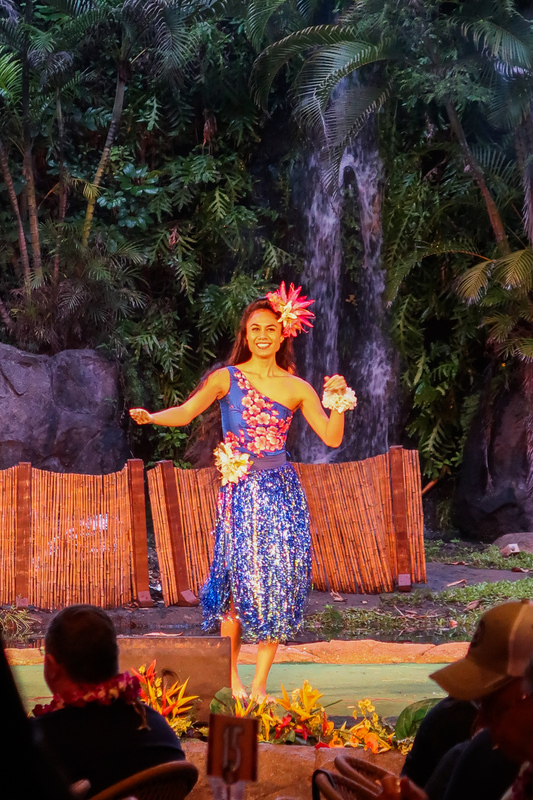 In fact, the word Luau itself comes from one of the favorite dishes from that first feast in 1819 — lu’au, made of taro leaves and chicken steamed in coconut milk. 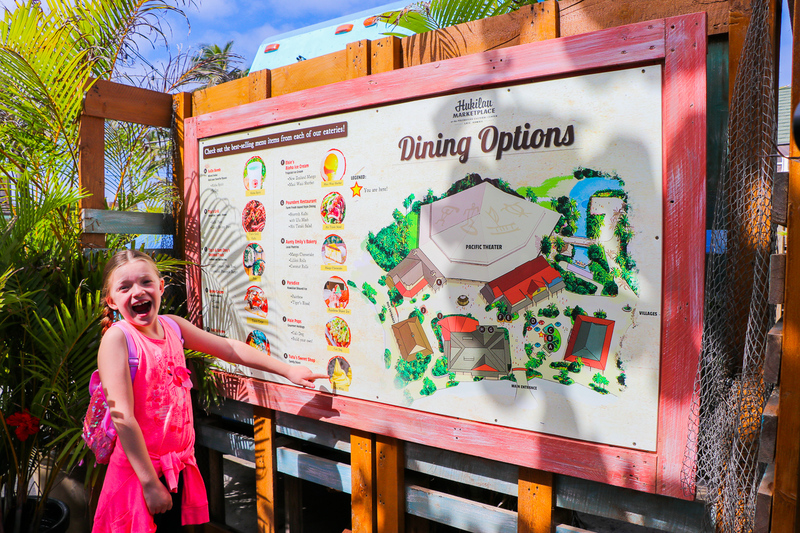 Take a closer look at all the great food our Luau offers here. They also have a spectacular evening show called, Ha: Breath of Life. 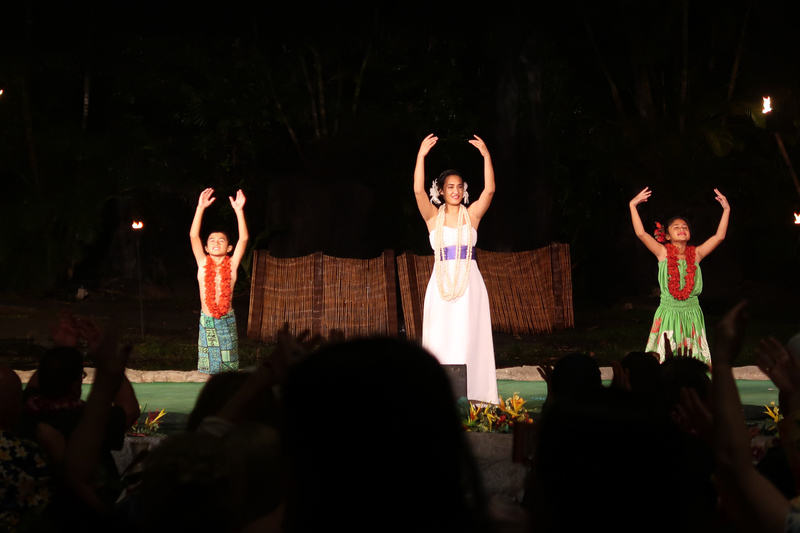 So be sure to book tickets to see the villages, dinner at the luau and also the show after. It was truly a wonderful day! Make sure to watch our video at the top to follow along with all the fun we had today. I so want to visit Hawaii. This place looks so pretty and the food sounds amazing. Such beautiful pics and video! Seriously looks like an idyllic vacation! Lucky family! That looks like so much fun! We went to Hawaii years ago and we loved it too! Those snacks and drinks look pretty amazing. 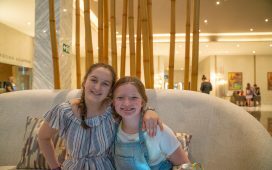 What an amazing family holiday you had. 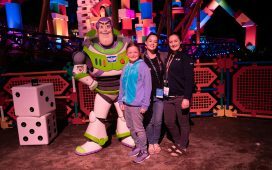 Love when families create memories together. I had no idea that the women and men at one time ate separately and sometimes different foods. Interesting. Hawaii is on top of my bucket list and I wish to visit this place someday. Loving the pictures and all the interesting places. 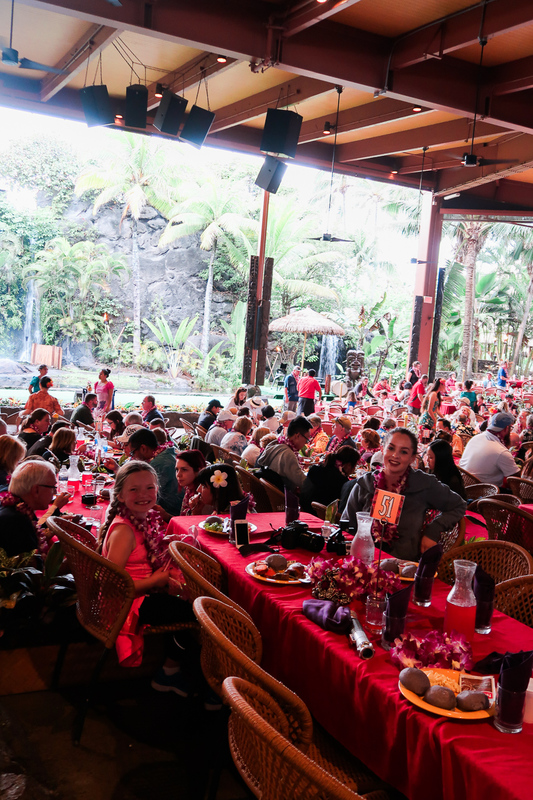 The luau dinner looks spectacular! 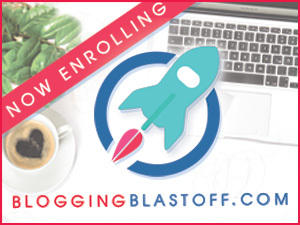 That looks like the perfect blend of family fun and educational experience. 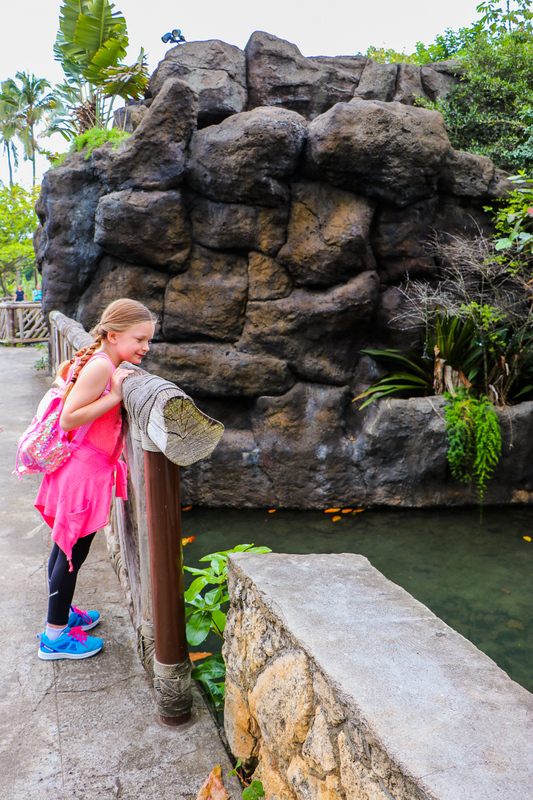 From the yummy treats to the amazing show, I definitely need to add the Polynesian Cultural Center to our next Hawaii itinerary. I am so jealous. I’ve always wanted to go to Hawaii and it’s on the top of my bucket list. Maybe next year! Looks like such a fun trip!! 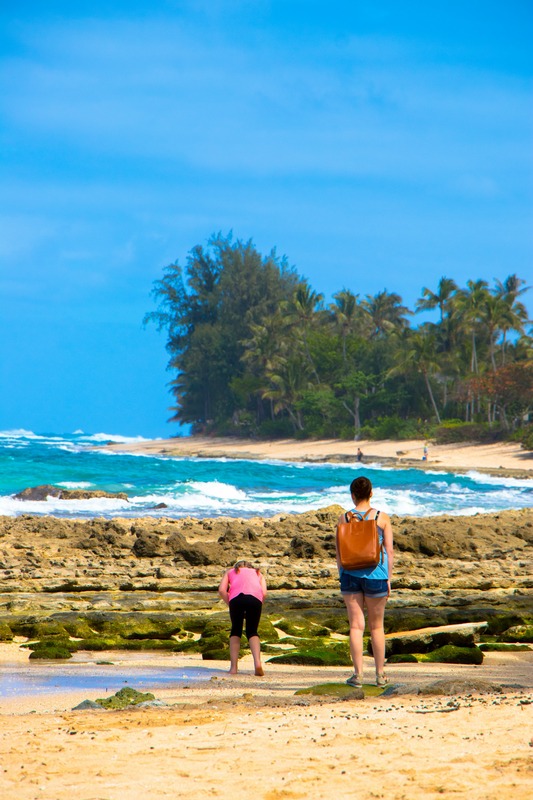 We love Hawaii and this makes me want to plan another trip soon. 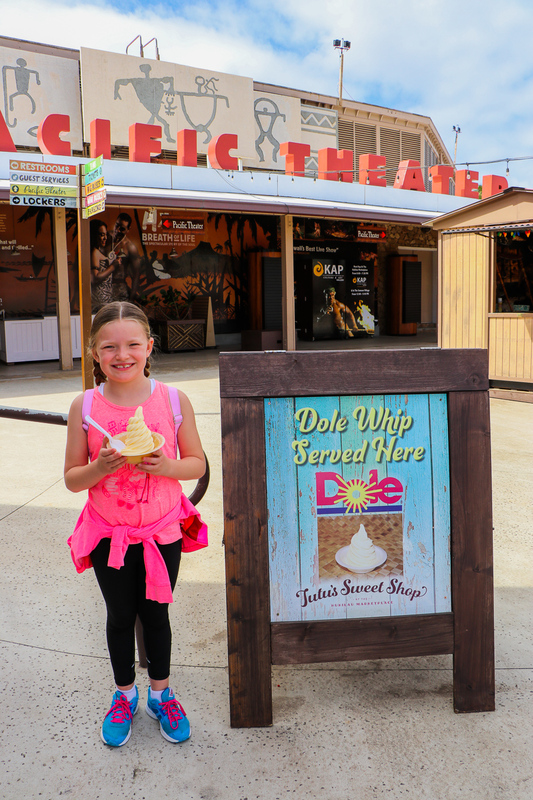 And you never go wrong with a Dole Whip!! Yum! Hawaii is the one place I’m really dying to go to. It’s funny, I always think of it as a me and husband place w/out the kids but your trip has me rethinking. I think my kids would love it to. This looks like it was such a fun time! I just love Hawaii. All of my kids want to go to Hawaii. 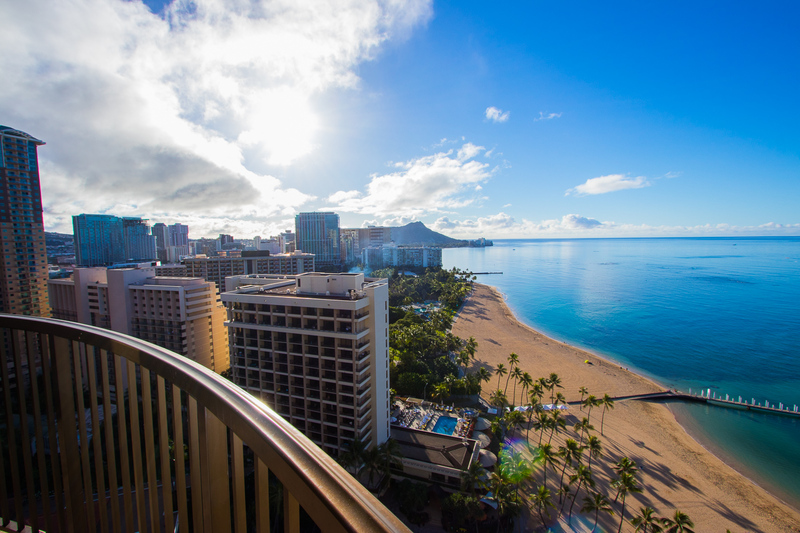 I think Oahu is our island of choice too. 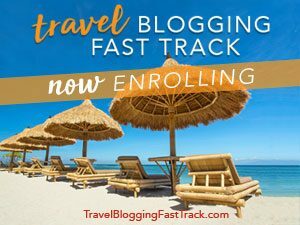 OMG this is a dream vacation! Glad your kids love it. This reminds me of Lilo & Stitch moments. Hawaii has been a dream vacation of mine for quite a while. You can’t take in the natural beauty and culture by reading and pictures, although your pics were fantastic and your post really painted a picture of just how great it would be to see Hawaii. I have always wanted to go to Hawaii, it’s the top spot on my travel bucket list. It sounds like you had a great time and have many wonderful memories. Wow you are living the dream! I would love to visit Hawaii someday. It looks absolutely breathtaking. Sooo cool Hawaii is such a dream! Its such a beautiful state that I need to go to! What a beautiful place! Making me miss Hawaii. Wow. As much as I love watching cultural shows, it is the food that would draw me to this place! So many fresh fruits to enjoy! 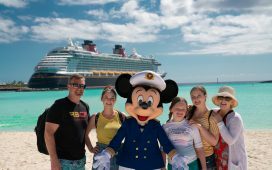 Your family sure looked like they had the best time of their lives! Oh law, I want to visit there one day. All of your photos are absolutely stunning. I want one of those cute drinks when I get there. This vacation looks perfect!! 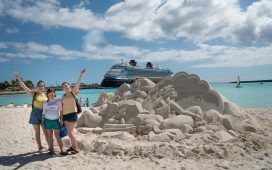 We LOVE Disney and have been deciding a good time to take the girls to Hawaii. 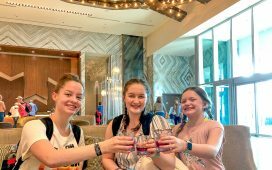 At first I wanted to wait until they were a little older, but knowing about this Disney resort, I think the perfect time is now!! 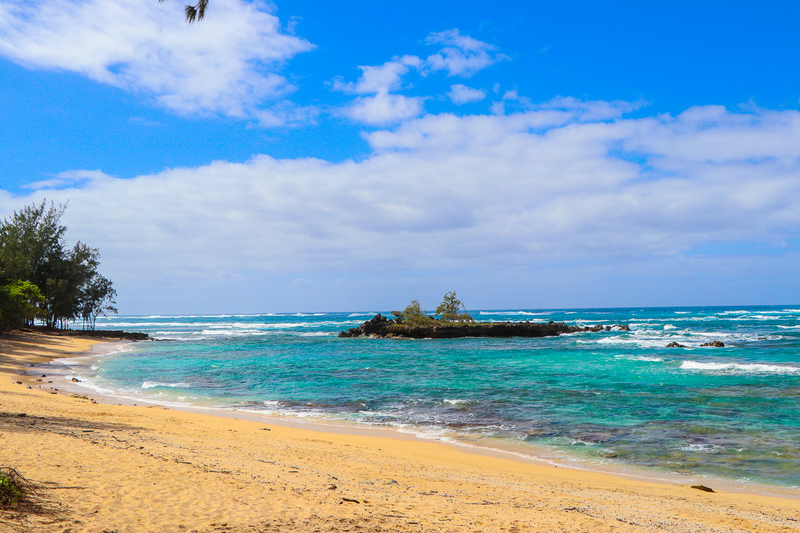 I love Hawaii and I will be there in June for a wedding. Your pictures are great. Such a beautiful place. 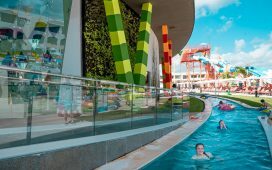 Hawaii looks amazing and the kids looked like they had loads of fun which is the main. Such a beautiful country. Hawaii looks like such an exciting place to take a vacation! I want to go so bad, what I am not excited about is the plane ride! I get so tense on plane rides. But maybe I’ll sacrifice my “tenseness” to experience something so realizing and fun. Thanks for sharing. Everyone looks so happy and relaxed. The scenery is divine! I must visit one day.